At its core, The HOPE Project is a partnership between a community of supporters in the U.S. and a community in Liberia. This partnership takes the shape of a school that benefits the entire community of Gardnersville, Liberia, as the country works to rebuild itself after a devastating civil war. Rising from literal ruins, Hope International School provides tuition-free education for 1,200 students, competitive wage employment for 47 Liberians, clean water and a source of medical care for students and their families. 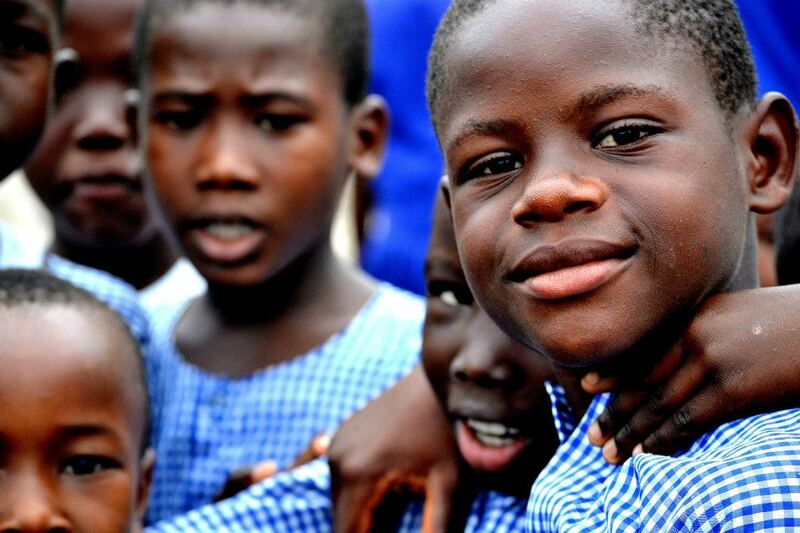 Only 60% of children in Liberia are able to attend school due to the prohibitive tuition costs of private schools and lack of government-funded public schools. Through the money raised from donors, we are able to educate 1,200 students (K-12), employ 47 Liberians – teachers, administrators, janitors, security guards and a nurse – as well as take care of the upkeep of the campus and provide needed teaching materials. Through this system, students pay only minimum fees for uniforms and basic school supplies, and children who otherwise couldn't afford an education can receive one. We employ a certified nurse to treat students who attend the school and their families. The most common ailments are issues related to dehydration, malnutrition and women's health. However, malaria, yellow fever and typhoid are not uncommon. Being able to properly treat students is not only extremely important for their health, but allows them to continue their education. Only 1 in 4 Liberians have access to safe drinking water, and unsafe sources carry a variety of parasites and pathogens. By providing access to clean water, students and their families are able to stay hydrated without being plagued by water-born illnesses and disease. To put it simply, we invite people to get involved. This involvement can take a variety of different forms, from being a committed monthly donor, a supporting business partner or even helping fill a cargo container with medical supplies and shipping it halfway around the globe. If it takes an entire village to raise a single child, then it takes a creative and diverse network of people to help raise 1,200 of them. Simply put: the efforts to rebuild a community in Gardnersville, Liberia, are made possible because of the financial generosity of our donors.